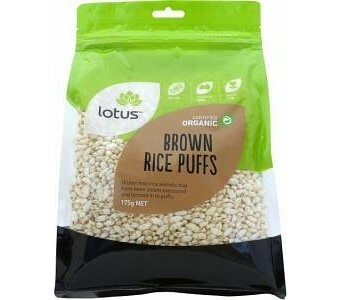 Lotus Organic Brown Rice Puffs are gluten free rice kernels that have been steam pressured and formed in to puffs. Ingredients: Organic Steam Puffed Whole Grain Rice. Certified Organic by ACO.